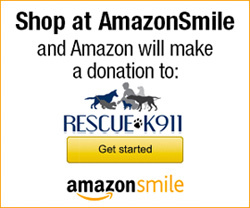 Special Thanks « Rescue K911 is an animal shelter located in Camp Hill, AL. The success of any organization lies in the precious people dedicated to its mission Rescue K911 has been blessed with many such friends (whom we do believe to be angels in disguise) who have reached out to us, and the little ones in our care. Special thanks to Dr. Lisa Plaisance and wonderful staff of Dadeville Animal Clinic for their expert medical attention to the little ones in our care, and for all their daily support and encouragement to us here at Rescue K911. We couldn’t do this work without them. Thank you so much for taking care of all of us! To our wonderful friends who come out and volunteer their time, talents, muscles and compassion to help our rescued dogs. No job too big, too stinky, too tiresome for these angels in disguise. What a tremendous help they have been to us. Thank you so much! Special thanks to: Kim, Emily, Jenny, Susan C, Susan T, Susan P, Donna, Ann, Phyllis, Janice, Paula, Brandy, Steven, Taylor, Jim, Linda, Alex, Chloe, & Lauren. We appreciate you so much. To all our wonderful K911 family, friends, and supporters…we couldn’t do this work without you! Thank you so much for your continued faithful financial support which supplies so many needs for our dogs. Please continue to hold us up in your daily thoughts and prayers, the needs are great! To all of our adoptive families, who have come out to Rescue K911, opening their heart and home adopting and taking home one of our rescued dogs. From homeless to having a loving home all their own is the hope we have for each of the little ones in our care. Thank you so much! Special Thanks to the FFA Club of Opelika High School and their annual Pitch in for Pups Campaign they have for us each year. Thank you, Jerry and Donna and Dr. Cox and all the young people for reaching out and helping the homeless. We love and appreciate you so very much! GOD BLESS & THANK YOU ALL…WE ARE BLESSED INDEED!! !